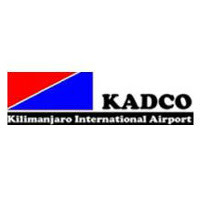 Kilimanjaro Airports Development Company Limited (KADCO) is a company owned by the government of United Republic of Tanzania charged to manage and develop Kilimanjaro International Airport and its estate.  To provide technical information concerning aircrafts parking to airline operators and Air Traffic Controllers.  Make sure VIP aircrafts are parked in the required manner.  Advanced Certificate of Secondary Education with two principal passes in any subject, two of which should be English, Mathematics, Geography or Physics who have attained their certificate between 2016 and 2017.  Knowledge in any other foreign language will be an added advantage.  Providing screening services to departing passengers, baggage, mail and cargo.  Monitoring CCTV and doing general surveillance.  Ensuring security of passengers, cabin crews, aircrafts and visitors at the airport.  Collecting any threat information in respect of insecurity of civil aviation, bomb threats, hijacking and report to the concerned authorities.  Bachelor Degree in Social Science from a recognized Institution.  Knowledge of Aviation Security and any foreign language will be added advantage.  Not below eighteen (18) or above thirty five (35) years of age (ICAO requirement) and has not inclined to drug and alcohol abuse.  Applicants shall be of good mental, physical and health state to the extent necessary to perform the security duties to and adequate standard.  Having clean background check.  Carrying out physical and operational checks on the Airport facilities and equipments.  Checking on daily basis of all Airport equipment and facilities such as fire trucks, Vehicles so as to determine need for service or maintenance.  Trade Test Grade I or Level III in Mechanics from a recognized institution.  Checking on daily basis of all airport equipment and facilities such as AGL, pavements so as to determine need for service or maintenance.  Carrying out maintenance work on airport equipment, facilities and infrastructure.  Liaising with other stake holders interested in making alterations to existing structure and report to the supervisor.  Ensuring preventive maintenance services in electrical engineering plants and facilities at KIA and its estate in accordance to professional and ICAO safety standards.  Diploma in Records Management from a recognized institution.  Assist in provision of emergency response services during an aircraft accident or incident which may exist at the time of landing, taking off, taxing, parked etc.  Certificate of Secondary Education with pass in any of the four Science subjects i.e. Chemistry, Physics, Biology and Mathematics.  Ensuring that assigned vehicle is in good condition.  Reporting accidents as soon as practicable to the supervisor and where necessary to the police station.  Report to the supervisor on the conditions of vehicle and road worthiness.  Certificate of Secondary Education with pass in English.  Certificate in Motor vehicle Mechanics ‘Trade Test’ Grade III or its equivalent from the National Institute of Transport will be an added advantage.  Designing and maintenance of security equipment/systems i.e X-Ray machines walk through metal detectors and CCTV system.  Degree in Computer Science Engineering/Telecommunication Engineering or equivalent qualifications from a recognized Institution.  Three (3) years of relevant working experience.  Keeping aviation data in the data bank.  Degree in Statistics/Mathematics or its equivalent from a recognized Institution. The successful candidate may expect attractive and competitive remuneration and benefits packages consistent with KADCO Scheme of Service. • Applicants must attach an updated Curriculum Vitae (CV) bearing reliable contacts i.e. postal address, e-mail address, reliable mobile phone numbers, certified copies of academic/Professional Certificates and birth certificate. • Testimonials, partial transcripts and results slip will not be accepted. • Applicants should indicate three reputable referees with their reliable contacts. • Application letters should be written in English. • Only qualified candidates will be contacted. • Applicants currently employed in the Public Service should route their application letters through their respective employers.